Whether you’re a streaming queen, a sports’ watching Dad or a gaming teenager, at MyRepublic we have a choice of Routers to keep your home connected so you can experience Wi-Fi that keeps up with your life and your devices. USB 3.0/2.0 Port: Remotely stream your stored music, photos and movies. Now you are getting a fantastic Super-Fast MyRepublic service, it’s time to consider which modem you need for your household. For large households: The D-Link COVR Whole Home Wi-Fi solution is the perfect fit for today’s modern home. It blankets your home with high speed AC1200 Dual-Band Wi-Fi, The three discreet COVR Points cover to up 465 sqm – that’s enough seamless Wi-Fi coverage for a wide variety of house sizes and configurations. Wi-Fi dead zones are now a thing of the past. With 1,200 Mbps W-Fi, MU-MIMO technology, and 2×3 (Rx) antennas at it’s core, COVR provides enough speed to support multiple devices undertaking data intensive tasks simultaneously, no matter where they are in the house. 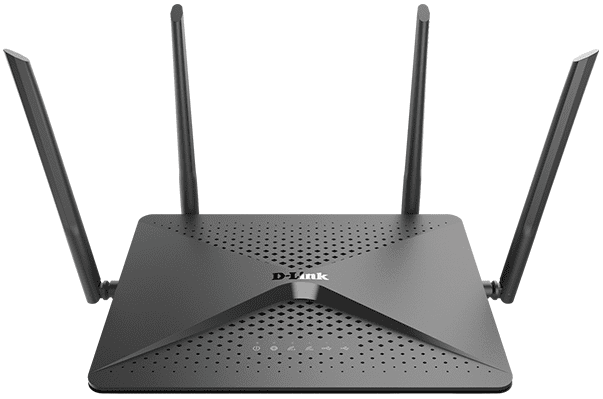 For medium-to-large households: The D-Link EXO AC2600 Wi-Fi Gigabit Router (DIR-882) combines ultra-fast next generation Wi-Fi with Gigabit Ethernet and a dual-core processor for enhanced performance. With advanced AC Smart Beam which can bring dead zones back to life by delivering individual beams of bandwidth where you need it. Multiple Gigabit ports give you lightning fast wired connections and dual USB ports let you access content on your network. For small-to-medium households: The MyRepublic Wi-Fi Hub+ has AC1600 technology and is also dual band, providing good Wi-Fi Coverage and Data Speeds. Wireless-AC has wider bandwidth capabilities of 80 MHz (and an optional 160 MHz). By comparison, older N-Series Routers bandwidth was only 20 or 40 MHz. Imagine the MHz as lanes on a highway: 20 MHz represents 2 lanes and 80 MHz represents 8 lanes. The more lanes available, the larger the amount of data that can pass through simultaneously, giving you the maximum performance connection speed. MU-MIMO allows communication with 4 different devices at the same time where you only used to be able to connect one. No longer is there a queue of connectivity on a router waiting for availability. With Wireless-AC, more devices can connect instantly to a single router, with less interference or disruptions. All MyRepublic routers use wireless-AC with a choice of the 5 GHz and 2.4 GHz bands. Most people will use the 5GHz frequency most of the time, but if you are on the edge of your Wi-Fi Router reach, use the 2.4 GHz network as it is slower but more stable when you are further away from your connection point.